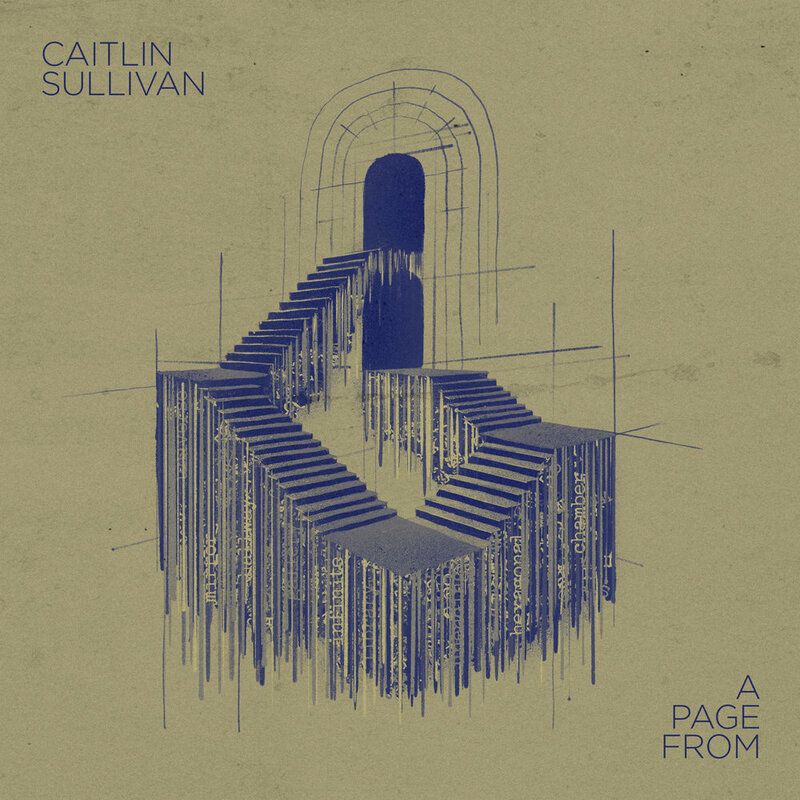 A Page From is the new album from New York City-based cellist Caitlin Sullivan. The record is available exclusively through New Amsterdam’s Bandcamp subscription as part of the Windmill Series, a digitally-focused set of releases for subscribers in addition to our existing release schedule. Subscribe today to receive the album, which will be released on all other platforms on April 19th 2019. Cellist Caitlin Sullivan has designed a multi-dimensional career as a performer of both classical and contemporary music based in New York City. Sullivan is a member of Decoda, a dynamic chamber music collective that has been named the first-ever Affiliate Ensemble of Carnegie Hall. With Decoda, she has performed with her colleagues in residencies throughout the US, the UK, Mexico, Japan, and Korea, and she was the creator of their multi-media chamber music performances Line and Expression and Musical Portraits at the Metropolitan Museum of Art. As a member of Brooklyn-based ensemble The Knights, known for it’s creative and unique concert programming, Sullivan has traveled extensively in the US and Europe, and is frequently their featured principal cellist. Sullivan performs often in the cello section of the New York Philharmonic as a substitute player, and has appeared with other acclaimed ensembles such as IRIS Orchestra, A Far Cry, and Ensemble Signal. A frequent collaborator with her husband, film composer Nicholas Britell, her cello playing has been featured on several of his film scores including If Beale Street Could Talk and Moonlight. "Ophelia" (Paola Prestini) for solo cello was written as a commissioned piece for the Klein String Competition in 2015, and depicts this tragic Shakespearean character lamenting from the grave. "confounded to decay"(Andrew Norman) comes from Sonnets, a collection of five short pieces for cello and piano, with each piece inspired by and titled after fragments of different Shakespearean sonnets. "Fast Flows The River" (Timo Andres) for cello and Hammond B3 organ is based on the setting for the anonymous folk song “Call John The Boatman.” The lyrics of the song describes a sailor who 'sleeps' more deeply the worse a storm buffets his boat. "The Reserved, The Reticent" (Sarah Kirkland Snider) for solo cello is inspired by the poem “As One Put Drunk Into the Packet-Boat” by American poet John Ashbery. This piece was the impetus for Caitlin Sullivan's research to find more cello works that embraced text as a musical point of a departure. Sullivan commissioned three works for this album; "The Revolt Of The Stars"(Mary Kouyoumdjian) for solo cello and audio playback is inspired by the Armenian fable by the same name, in which the stars unite in an attempt to outshine the sun and the moon. The fable questions the effectiveness of ‘strength in numbers’ when a group that lacks strength in spirit rises up against those in positions of power. "my grave shall be the fathomless air" (Gabriel Kahane) for solo cello is a line from the short story The Library of Babel by Jorge Luis Borges. The story depicts a universe made up of a vast, mysterious, infinite library whose citizens are searching to understand the meaning of their world. "The Last Question" (Nicholas Britell) for solo cello is inspired by Isaac Asimov’s short story of the same name. An initial idea – a question – is posed early on. Over an indeterminate period of time, different attempts are made at finding a solution. Until, at last, all becomes clear. The Windmill Series is a new digitally-focused set of releases made available to New Amsterdam subscribers in addition to our existing release schedule. After a subscription exclusivity period, Windmill Series releases are available digitally worldwide. A Page From is the sixth album released in the Windmill Series, which was launched in June 2018. ► A Page From - the new album from New York City-based cellist Caitlin Sullivan (available exclusively through the NewAm subscription as part of the new Windmill Series). ► Waves & Lines - the new album from New Zealand-born, Princeton-based composer Gemma Peacocke (available exclusively through the NewAm subscription as part of the new Windmill Series). ► A Great Many - the new album from Brooklyn-based composer Aaron Siegel (part of The Windmill Series). ► Blueprinting - the debut album from Aizuri Quartet, featuring works by five of today's most exciting American composers. ► Seed Triangular - the new album from multi-instrumentalist Robbie Leeand guitarist Mary Halvorson. ► Small Works - the new album from Durham-based composer Brooks Frederickson (part of The Windmill Series). ► Siren Islands - the new album from Pakistan-born, Brooklyn-based composer and performer Arooj Aftab (part of The Windmill Series). ► Until My Last – the new album from Indianapolis-based composer, performer, and multimedia artist Jordan Munson. ► Without Chasms – the new electronic EP from Brooklyn-based composer William Brittelle. ► New albums from Caroline Davis, Daniel Elms, and many others! On top of all that, you’ll also get some exclusive content intended only for our cherished subscribers, including our brand new Windmill Series! You’ll also get immediate access to a selection of back-catalog releases, 20% off everything in our store, and exclusive access to subscriber-only communications directly from the label, including news about forthcoming releases.